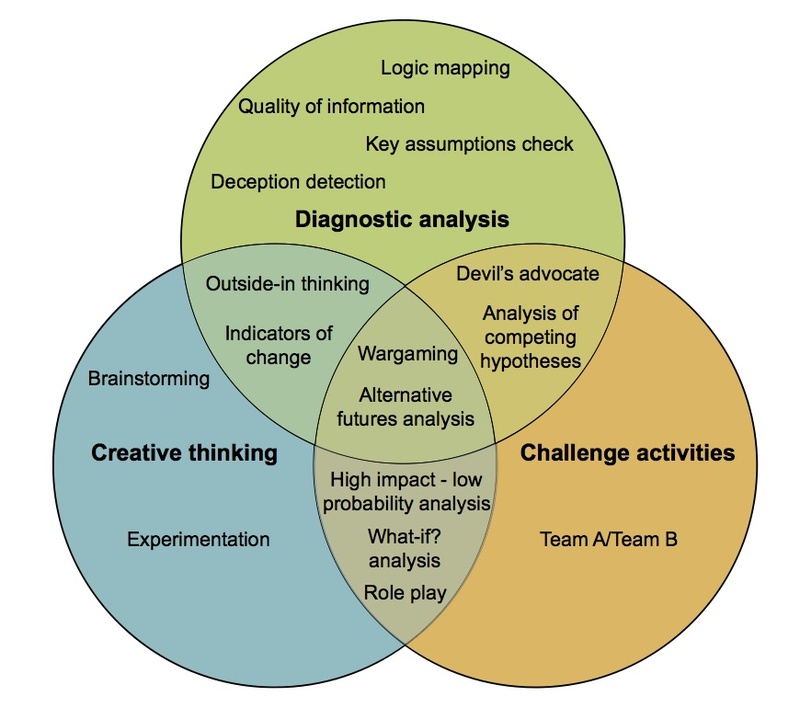 Not all serious policy/analytical games involve full-blown red teaming, and certainly not all red teaming involves games. However, there often is a substantial overlap between the two, which is why the latest edition of the UK Ministry of Defence Red Teaming Guide (2013) makes for useful reading. 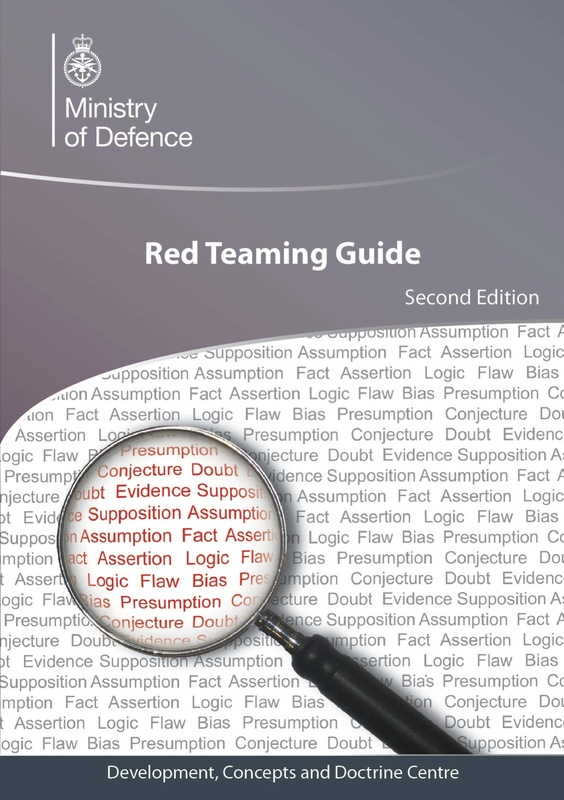 A red team is a team that is formed with the objective of subjecting an organisation’s plans, programmes, ideas and assumptions to rigorous analysis and challenge. Red teaming is the work performed by the red team in identifying and assessing, inter alia, assumptions, alternative options, vulnerabilities, limitations and risks for that organisation. Red teaming is a tool set. Using it will provide the end user (commander, leader, or manager) with a more robust baseline for decision making.